Once you decided to self build your own house you must start to think as a builder and not someone attempting do it yourself. As a builder you would be running a business and as such would purchase your materials at trade prices. It is not always the case that buying at trade prices makes a big difference. It is when you are purchasing enough bricks to build a house or enough cable to wire your home that you can command quantity discounts and see a big difference in between retail and trade prices. You need to apply to open a trade account. This will involve paperwork and quite often proof of identity. You will also have to prove that you are able to pay your bills on time as usually a trade account means that you have one month’s credit before your bills become due for payment. Ask your bank manager and architect for letters of introduction to show you are a bona fide self builder and have the finances to pay your debts on time. 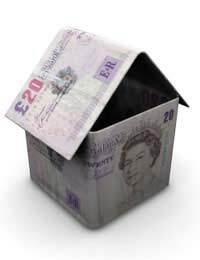 If, like many self builders you have the money for the next stage of your build why not negotiate for a cash discount? Even half a percent makes a difference when you are spending £100,000. Shop around for special prices, you may find that a high street do it yourself warehouse has a better deal on bathroom and kitchen fittings that a trade warehouse. In these times when we are all watching the pennies any builders merchants and do it yourself warehouses are throwing silly prices at us. Log onto their websites and familiarise yourself with the times they bring our new offers (many have set times of the month when prices change). Take time to check prices between different companies. Sometimes you can buy direct from manufacturers and make a larger saving. Make a note of the price you were quoted and then check this is the figure on the invoice when it arrives as mistakes can easily be made between placing the order and the details reaching the accounts department. Always try to negotiate a discount when buying in bulk. Sometimes products are cheaper if ordered online. If you are not confident with a computer and are not sure of finding your way around the World Wide Web follow a short course on the subject as it will revolutionise the way you plan your self build. A bonus when purchasing in bulk is that the goods are delivered to your site. On other occasions you may be able to claim a saving by collecting the supplies in your own van or truck. Many self builders purchase a second hand vehicle for use during the build and sell it on afterwards. This saves the family car from damage and thus protects your insurance. If you have accounts with suppliers make a point of paying on time. Never ignore paperwork when it arrives and read the small print at the bottom of invoices and statements. Quite often there is a charge for late payment and all these small amounts add up. If you are not keen on facing paperwork after a long day onsite why not ask your partner or a friend of the family to take on the administration during your build? Keeping on top of your paperwork can save you money. Can You Work a 40 Hour Week and Build Your Home? Ensuite Bathrooms: Are They Worth It?